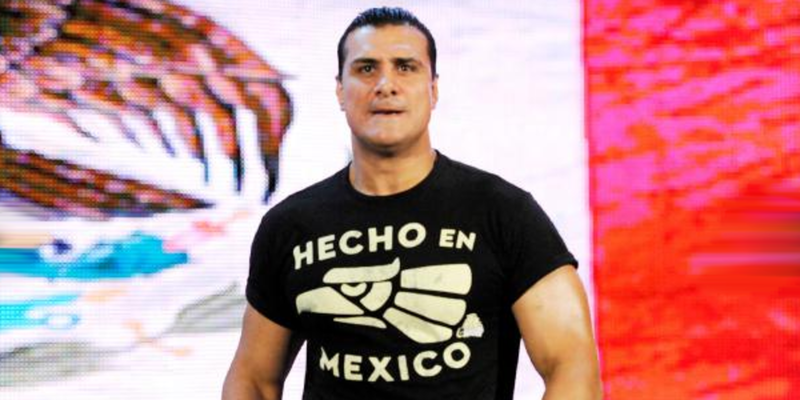 After no-showing AAA's Heroes Inmortales show on Sunday night, the wrestling world was left wondering what happened to Alberto Del Rio (real name Jose Rodriguez) and where he would end up next. But it turns out the reason Rodriguez missed the show may have been out of his control. He took to social media on Monday night to set the record straight, and alleged that he had been attacked by a knife-wielding criminal inside of a restaurant prior to the Heroes Inmortales show. AAA released a statement wishing Rodriguez a speedy recovery. "Mr. Rodriguez (“Alberto El Patron”) shortly after eating a meal before his flight was assaulted by a criminal with a knife outside the restaurant. Mr. Rodriguez suffered multiple lacerations on his arm and other parts of his body defending against the criminal as Police were called by witnesses. Mr. Rodriguez received medical attention and went back to the Police Department and was unable to make his flight." "Mr. Rodriguez has spoken with the ownership of Lucha Libre AAA WorldWide and given them the documentation of the incident. Mr. Rodriguez greatly regrets not being there yesterday for his fans in Mexico and promises to everyone he will make this up as soon as possible. Despite the graphic lacerations Mr. Rodriguez will not miss any of his shows for the remainder of the year and is ready to compete this weekend in the UK."